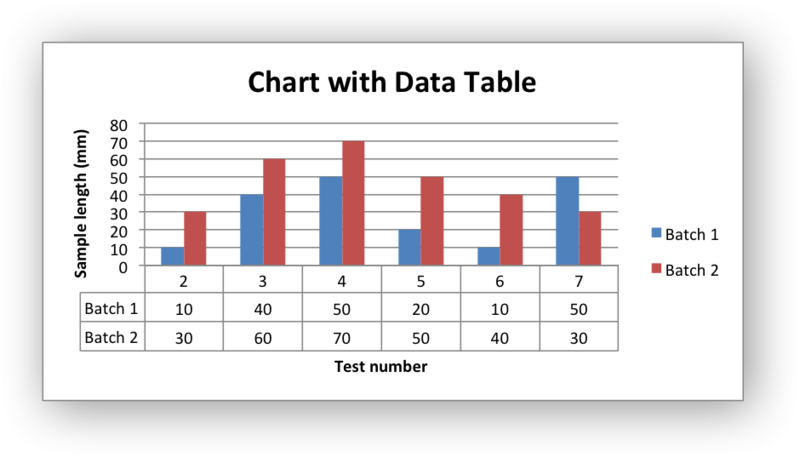 Example of creating charts with data tables. # Create a column chart with a data table. # Set a default data table on the X-Axis. # Create a column chart with a data table and legend keys. 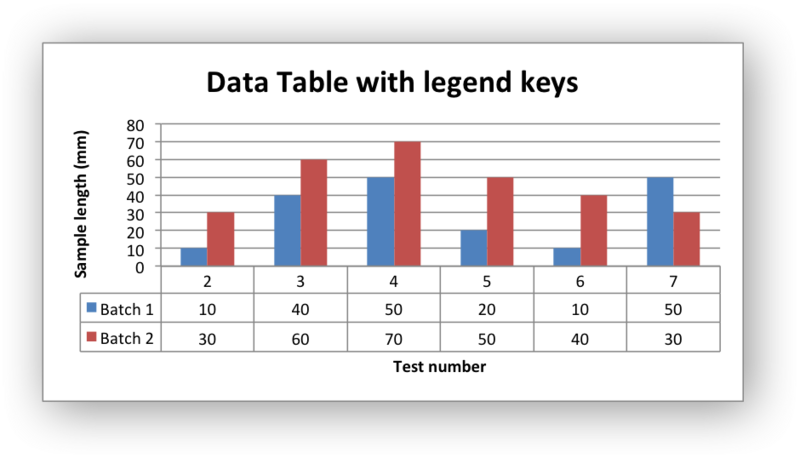 # Set a data table on the X-Axis with the legend keys shown. # Hide the chart legend since the keys are shown on the data table.